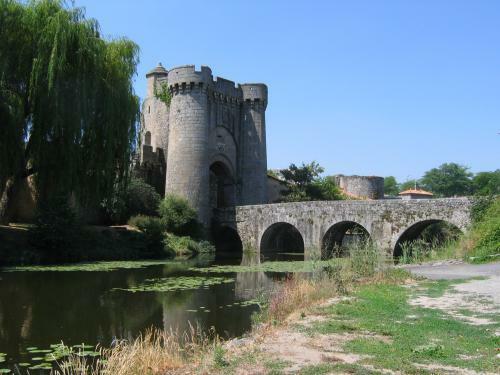 Search Rent-in-France for self catering rental cottages, gites and houses in Deux-Sèvres, France. Deux-Sèvres literally means Two Rivers. The department has been given this name because there are two rivers which both have their sources within the department - these are the Sèvres Niortaise and the Sèvres Nantaise. Well known for breeding and its love of horses, renting a self catering holiday home in Deux-Sèvres will provide the perfect getaway especially for those looking for a riding holiday in the countryside. The department is also and huge favourite with fisherman. There are a number of spectacular lakes and rivers to fish in the area which is one reason why many of its visitors return to Deux-Sèvres year after year. Parthenay. Situated in western France, Parthenay is an ancient fortified town that sits on a rocky spurs surrounded by the River Thouet. Located within the Deux-Sèvres department, Parthenay is home to the Festival Ludique International de Parthenay, also known as the Festival de Jeux or Flip. This Festival sees the town’s streets and squares fill up with games of many types. There is also a shorter version of this festival that is run in November which is indoors and called the Flip d’hiver. There are a number of medieval streets, churches and castles to enjoy in Parthenay when taking a Deux-Sevres self catering holiday rental. Melle. Melle is an ancient town full of traditional architecture with some buildings dating back to before the 17th century. Home to the site of the oldest silver mine in Europe. There are guided tours round the huge 12 mile long site and visitors can explore around 350 m of it. There are three wonderful churches in Melle and Saint-Hilaire is the most beautiful and is a must see when staying in Deux-Sevres holiday gites. Although small, Melle is still a vibrant town and is a major business hub for surrounding towns. The town has a variety of shops, supermarkets and several restaurants which serve regional and local French cuisine along with pizza parlours and a very popular steak house. Experience the rural atmosphere of the area by visiting the weekly market each Friday where you can buy a range of locally produced products such as fish, vegetables, bread, cheeses and meats. Niort. Located on the Sèvres Niortaise, this beautiful market town is the capital of the Deux-Sèvres department. Summer nights in Niort have a magical feel to them as the town is illuminated with soft amber lights. One of the town’s main features is the wonderful French architecture with the half stone and half timbered buildings across the town. Some people compare Niort to Amsterdam and Venice with its system of connecting waterways. Known as a town of arts and crafts, Niort, as like many riverside towns, has a peaceful ambience due to its position on the two rivers. 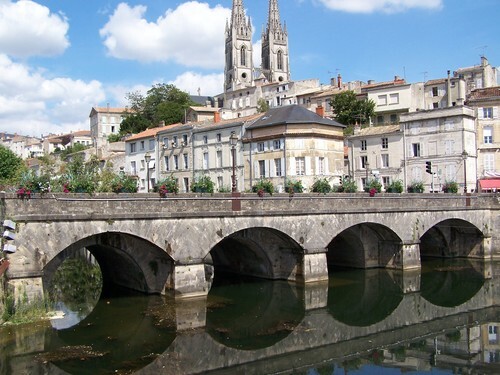 Often referred to as a favourite French town by its visitors, Niort has everything you need in a holiday destination including fantastic bars, cafes and restaurants together with a number of banks, supermarkets and other amenities. Bressuire. This old cathedral town only has a population of around 20,000 with a large percentage being youths. This is the ideal place for holiday seekers with children due to a large number of facilities available for young people in the area. Bressuire is a town full of beautiful architecture with a number of sights and interesting buildings to visit during your stay. It is a popular town due to the fact that is within easy reach of some of France’s most beautiful beaches along the Atlantic coast. Tuesdays, as with many other French towns, is market day in Bressuire where people head to purchase a wide range of locally produce products. Deux-Sèvres in situated in an area that enjoys its own micro climate, giving the department the second highest sunshine hours to the South of France. Saying this, Deux-Sèvres is well known for its mild climate across the area all year round offer and visitor a relaxed and simple lifestyle during their Deux-Sevres holiday rental. 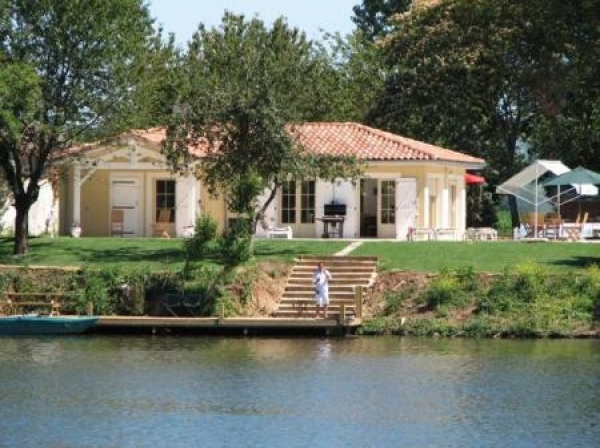 The summers in Deux-Sèvres are warm with the daily temperatures in July and August reaching an impressive 27°C and the large number of lakes, rivers and canal are filled with holiday-makers throughout. The winter months are much cooler and many of the tourists leave the area. If a peaceful getaway is what you are looking for, then don’t let this put you off as the temperature can still be pleasant enough to enjoy many of the sights that Deux-Sèvres has to offer. Taking a break in a self catering holiday home in Deux-Sèvres couldn’t be easier as there is a wide range of travel options available. Ryanair operates regular flights from London Stansted (STN) direct to La Rochelle (LRH), Poitiers (PIS) and Tours and Flybe offer budget flights from Gatwick (LGW) direct to Nantes (NTE). Alternatively, from the UK you can take the Euro star to Paris and get the connecting TGV service that stops at Paris on route to Poiters.